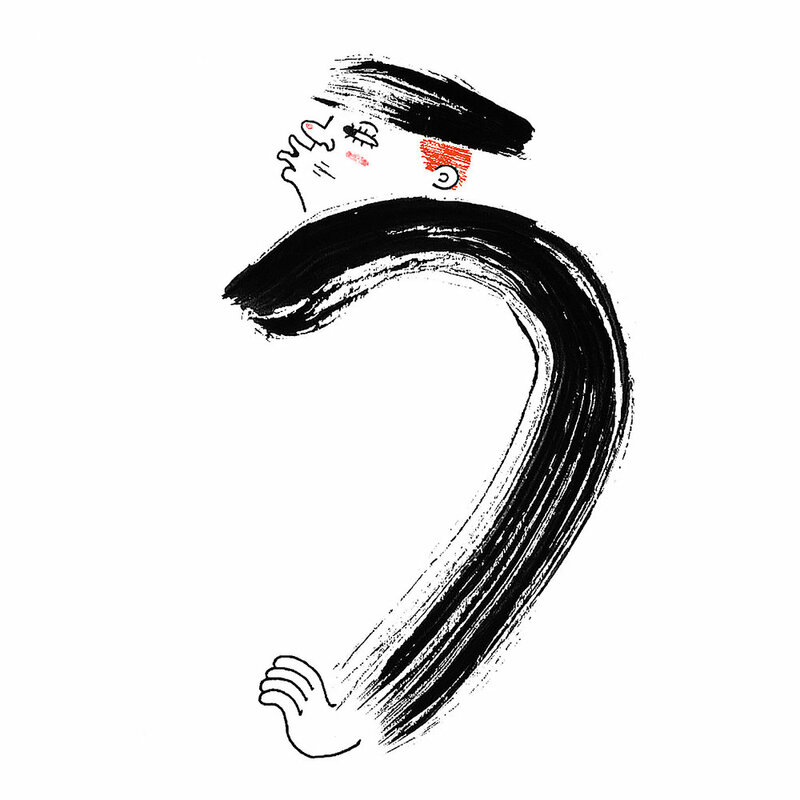 In celebration of Inktober 2017, Yuko Okabe decided to illustrate creatures and humans out of the Japanese syllabic alphabet, Hiragana. Each illustration corresponds to either the phonetic sound or a word associated with the Japanese character. In all, she created 46 illustrations to match the 46 characters in the alphabet. Yuko Okabe is a Japanese American, Boston-based illustrator with familial ties back in the great land of Northern New Jersey. Since little, she always loved creating stories, doodling comics and long nonsensical epics on the back of her father's lovingly donated chemistry papers. She received her BFA in Illustration from the Rhode Island School of Design in Providence, RI where she also delved in courses relating to design, toy-making, game-making, and whatever peaked her curiosity. Her involvement in community service at school encourages her now to seek opportunities that can help reach out to people on an emotional level: she's interested in ways that illustration and storytelling can help people through difficult times. Her previous internship with the Boston Children's Hospital and her current work with the start-up Neuromotion-Labs allows her to use her creativity to help children and family develop coping mechanism through games. Yuko's prime medium of choice is ink with some touches of watercolor, graphite, gel pens, and fiddling with Photoshop. Currently, she's developing two picture books with her agent at Writers House. On the side, she likes running, cooking, reading (if she has the time), and volunteering.